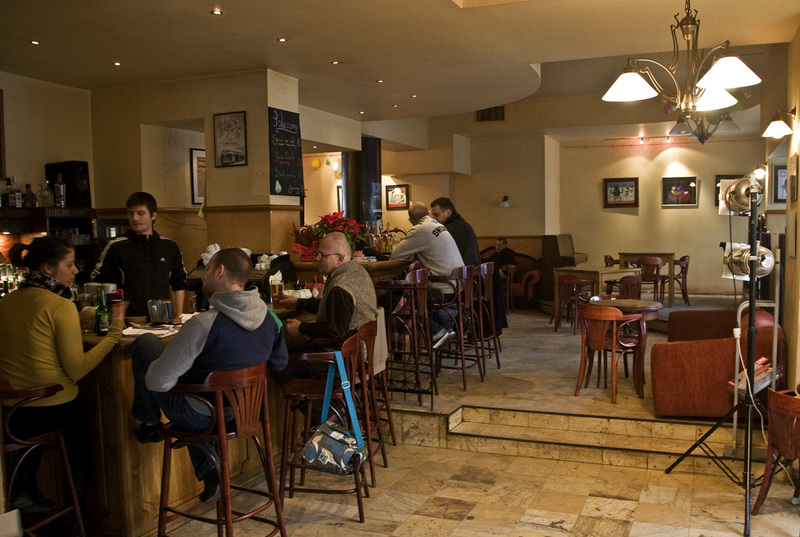 Cafe Cyganeria is an institution in itself, the oldest cafe in Gdynia, a traditional meeting place of Gdynia bohemia. If we also add that it is located on the ground floor of flagship of Gdynia modernism – the BGK housing estate in the 3 Maja Street, no wonder it had to become one of the Route's partners. The BGK housing estate is an exclusive apartment block, built between 1935 and 1938 following the design of Stanisław Ziołowski, where the body with a semicircular bay window, as high as eight storeys, resemble a transatlantic liner with a captain's bridge. 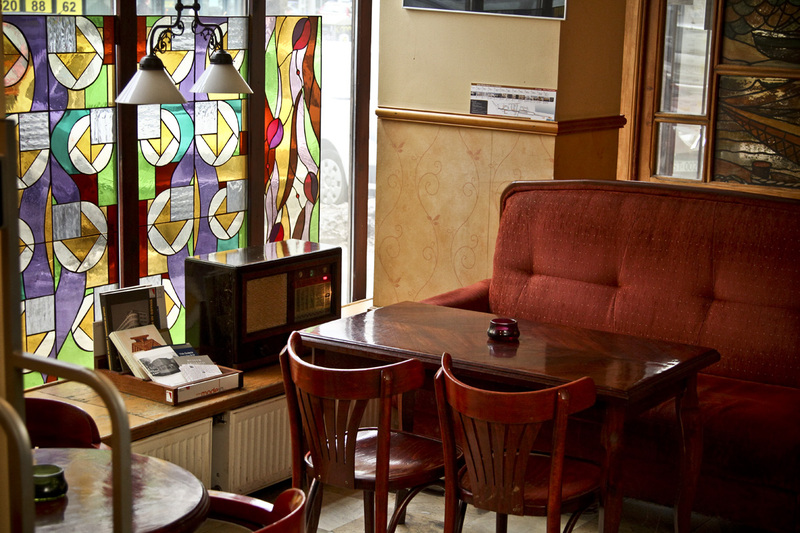 Soon after the war, in 1946, Wanda Andrzejewska opened an artistic café here. 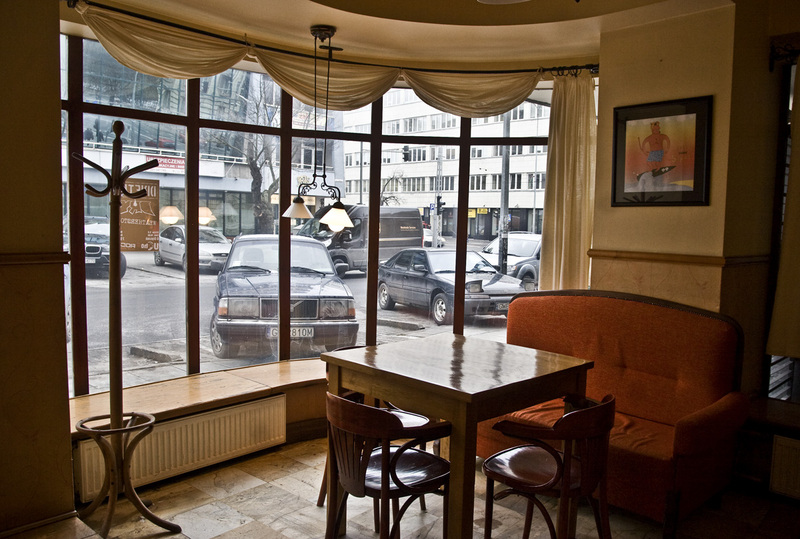 What is interesting, at the beginning coffee was not served there because the owner was not granted proper concession and therefore "at the moment we only drink wine, mead and beer, eat gingerbread cakes and sponge fingers from "Społem". However, coffee will be served here in some time." Now the cafe is run by Mrs. Andrzejewska's grandson Karol Hebanowski. Coffee is of course present in the menu, different kinds of coffee, together with alcoholic beverages and homemade cakes. Concerts of artist from Gdansk, Gdynia and Sopot used to take place in "Cyganeria", however, now most of them are held in music club called "Ucho" also run by Hebanowski. 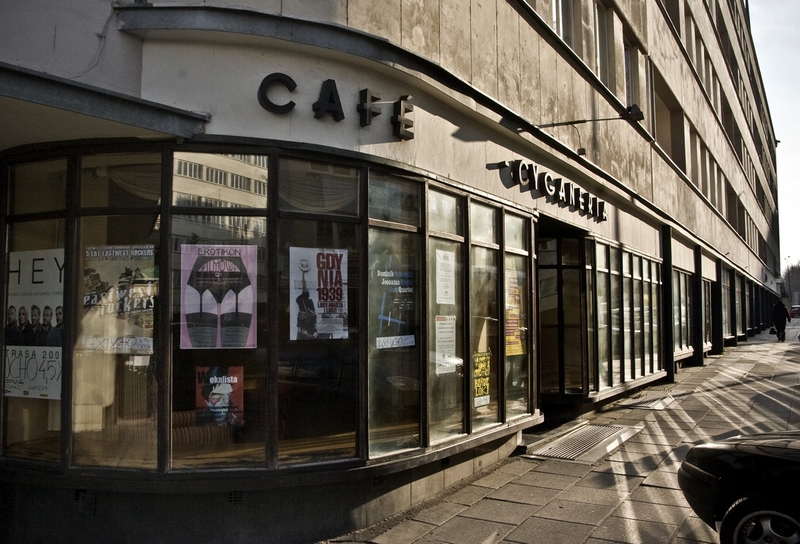 Yet, small concerts and dance events are still sometimes organized in Café Cyganeria. 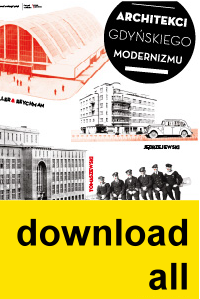 As a partner of Gdynia Modernism Route, Cyganeria still carries on with its musical tradition. 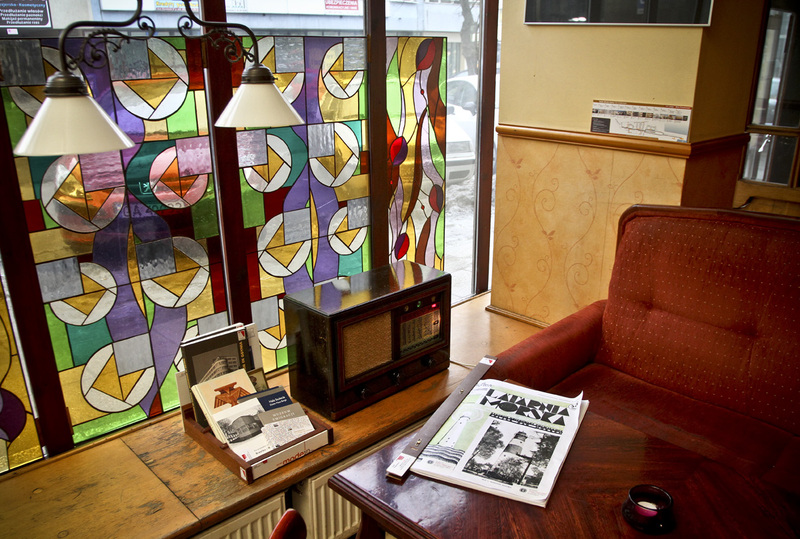 In its modernism corner, apart from another reading room with books and reprints of pre-war newspapers, we can also find a pre-war radio which plays music of the 20's and 30's as well as programmes and commercials from the time. 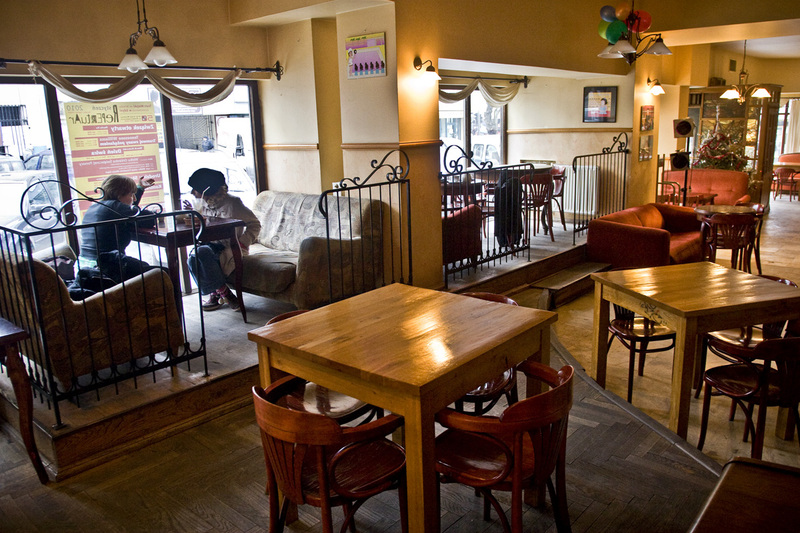 Being an artistic cafe, it often houses vernissages and exhibitions of paintings and photographs. 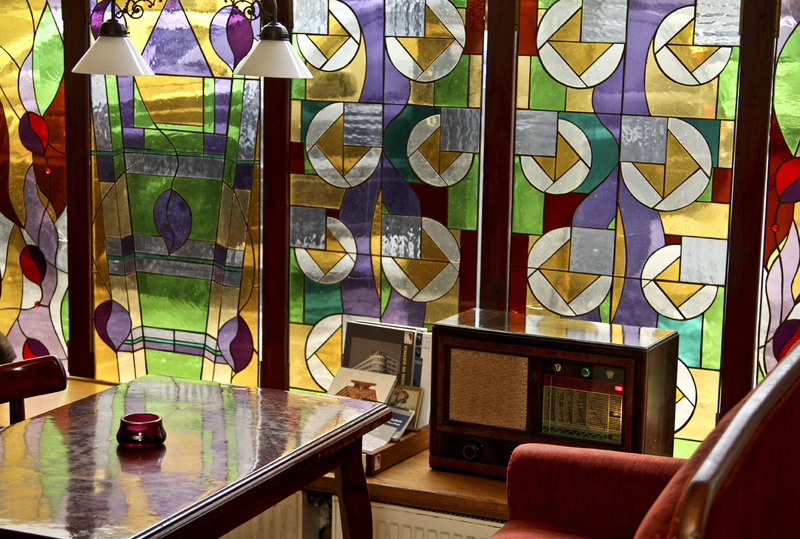 Opening hours: Monday to Saturday open from 10:00 until the last guest leaves, Sunday from 3:00 p.m.